Cranes are one of the essential equipments in the building and construction industry. Naturally, they are hired in large numbers on a regular basis by various builders and contractors. But wait. Hiring a crane is not the only step in this direction. These gigantic machines need to be handled aptly using certain rules and regulations so that it ensures maximum safety while using them. For instance, even a little laxity on the part of the crane handler can lead to dire consequences such as onsite fatalities. Hire expert crane handlers: An expert crane handler is a must-have at every project that uses these equipments. If you do not have such professional working for you, then you can choose to hire experts in the industry to handle the type of crane you are going to hire for the construction work. This takes us to the next point. Provide proper training Even if you have hired crane experts, you need to get them trained for proper handling of the machine you are hiring. They should not only be aware of the functions of the equipment but also know about and identify potential risks and hazards. This will in turn help them identify the faults early on and prevent accidents. Thorough inspection of the machinery I understand that you will opt for crane hire in Melbourne from leading firms on the market, which guarantee quality products above anything else. However, you still need to opt for a thorough inspection of the machinery that you are going to opt for. This step should be conducted not only at the time of choosing the cranes, but on a daily basis after you have hired them to identify any malfunction before using them. Proper use of the crane for your work Another important thing that you need to consider is that you need to use the crane properly. This in essence means that you need to lift and transport load that is within the capacity of the machine. Overloading the crane is a strict no-no. 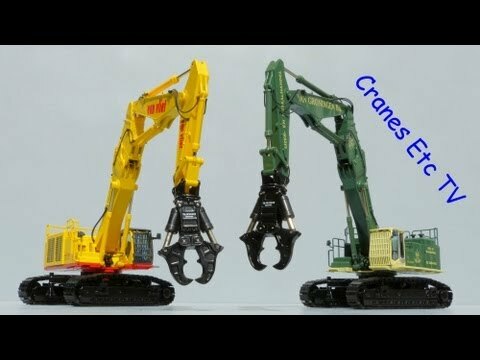 Similarly, you need to know which type of crane should be apt for your work. Maintain it well The last but the most important point is to opt for regular maintenance of your cranes. This will make sure that the equipment will offer smooth operations every single time you use it. Also, this will help you return the cranes in excellent condition to the firm you hired them from. These are some of the most essential safety measures that you need to have in place before hiring cranes that match your requirements. I am sure that by implementing these points, you will face no glitches when you use them in construction activities. Keep a tab on this space for more such articles. This entry was posted on Monday, April 30th, 2018 at 1:25 am	and is filed under Earthmoving Equipment. You can follow any responses to this entry through the RSS 2.0 feed. Responses are currently closed, but you can trackback from your own site.